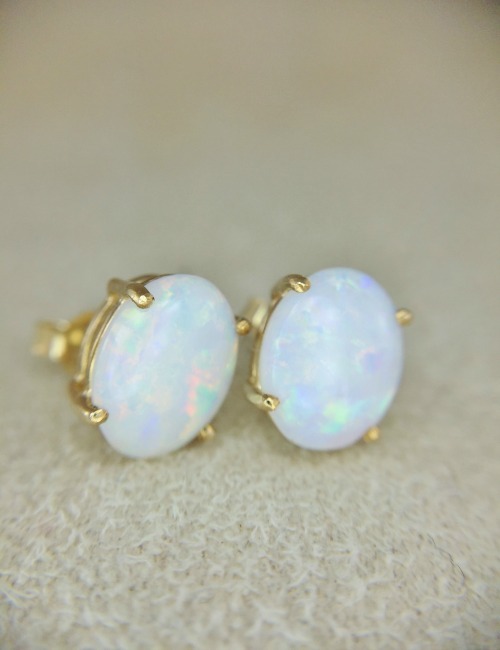 These solid Coober Pedy light opals are set with 14ct yellow gold. The stud style earrings feature sparkling light opal shimmering with pinks, gold and green. The opals weigh 2.7 ct and measure 10mm x 8mm .